I took off from Brugge along a broad canal headed in the direction of the Zwin. By my guess, the channel used to bring ships in from the coast via the Zwin back when Brugge was a major inland port, but over time the Zwin silted up and Brugge lost its status as a hot spot of trade. But the Zwin still sees its fair share of comings and goings, only these days the traffic is comprised of birds rather than ships. It brought me to the northernmost corner of West Flanders, so much that I crossed into the Netherlands and back into Belgium twice in the course of cycling there. Growing up in the megalopolis of the the American mid-Atlantic, I never cease being struck by the layout of the land I’ve traversed. As I mentioned after my trip around Norfolk, it seemed like towns and small cities are never far away no matter where one goes, and they stood like beacons over fields of barley or grass grazed by cows and sheep. So too in Flanders. In the half-hour hop between Damme and Sluis, I cycled past a man about my own age listening to an iPod and herding a flock of sheep along the canal with two dogs. A half hour beyond brought me to the salt marshes of the Zwin. Even if I had my camera, I would not have been able to capture the area in an appreciable way. Muddy creek beds and pools hosted at least eight types of bird by my count, but my untrained eye probably missed many of the creatures which called out in the silence of over 300 acres of marsh and dune. 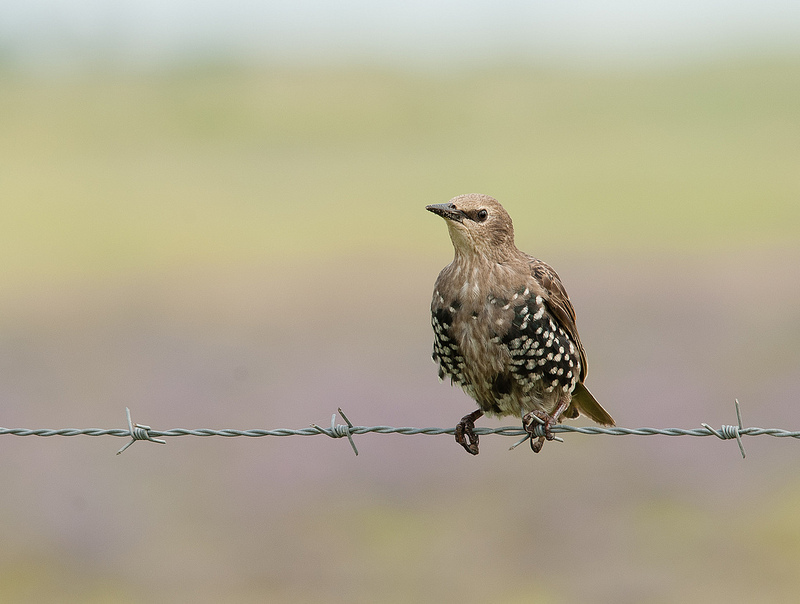 Various documents I’ve dug up online list several dozen species which migrate through or make permanent homes in the reserve. Mostly I saw gulls and ducks, but there were also a good deal of oystercatchers, pipits, and linnets as well as some waterfowl I haven’t be able to identify. I think the reserve also typically operates an aviary, but much of the infrastructure for visitors has been shut down while the reserve undergoes major renovations like (from what I could tell from the translated documents) building a massive bird hide into the dyke that defines the edge of the reserve so that visitors can enjoy the sights comfortably in all seasons. 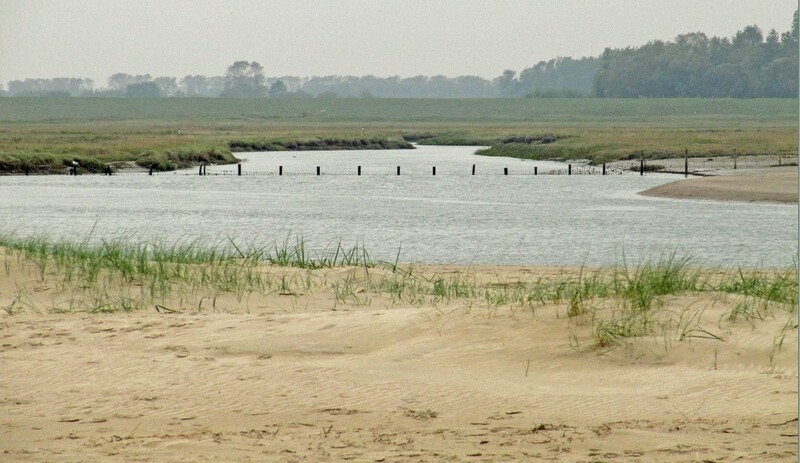 Leaving the salt marshes, I cycled up the dunes to the coastline, which dropped to beautiful sights of the marshes on one side and the sea on the other. Large cargo ships and cruise boats approached ports of call, so far off on the horizon that they seemed to be carried by the sky rather than the sea. By now it was midday, and in defiance of the weather forecast I’d been cycling in sun and a light, refreshing breeze. But as I started along the strip of post hotels and restaurants opposite the beaches of Knokke, clouds obscured the sun and grew dark. Further down the coast I could see the dim static of rainfall, and soon it poured down fat drops sticking my hair to my brow and forcing me to bow my head just to keep my vision clear. Yet another advantage to cycling with a helmet – unfortunately it seems that a request to rent a helmet along with a bicycle in this part of the world is just met with a scoff. When I stopped for lunch, I opened the door and stood on the threshold, all heads turning towards the sopping mess the weather made of me. The bartender asked if I was alright, and I said I was fine but that I was concerned about the furniture. He brought me some napkins for my hair and I stripped off my jacket and waterproof pants to dry on a coatrack. An hour later I was refueled (partially with a terrific, un-chilled bottle of Achel blonde) and the rain had moved on. I followed suit, though fortunately for me in the opposite direction. Outside of the persistent joy riding through Belgian farms, past windmills, and along canals, the remainder of the ride was unremarkable, but my destination was not. I was again relying on a Warm Showers member, a young man named Johannes. As I pulled up to his parents’ house, I realized I’d forgotten the house number and stopped in the middle of the street looking lost. 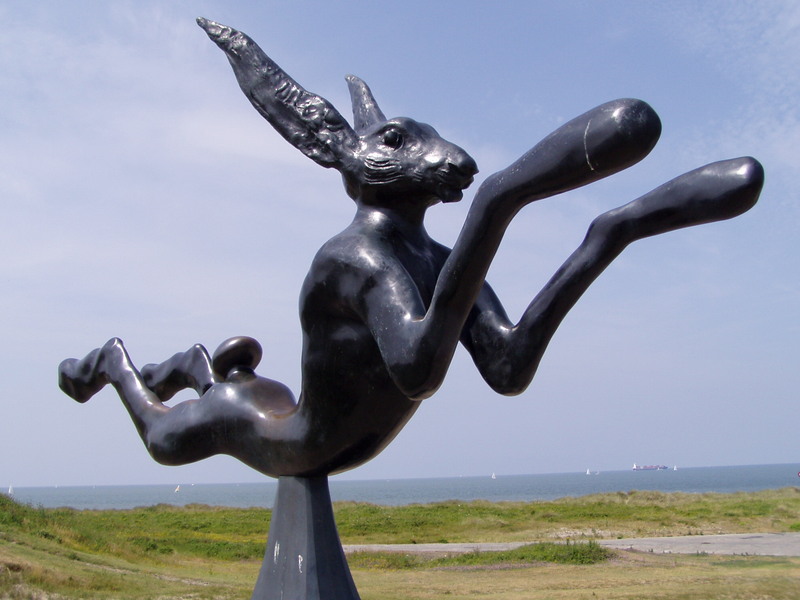 It so happened that his parents were digging the weeds, and his father smiled at me and said, “I think you’re home.” I was warmly greeted and treated to a traditional Flemish dinner with salad, frites, and a beef stew made with brown beer called stoofvlees. To call Johannes’ home a house is not really accurate. I would describe it as a homestead, with a small pasture for a cow and a respectable vegetable and fruit garden. I believe there was some farm equipment and maybe a stable as well, but my memory fails me as I didn’t spend much time outside. During our meal as I remarked how delicious the stoofvlees was, Johannes said, “You probably saw we have a cow. You know, every year we sort of…kill it.” We both laughed, and I wondered to myself how long the meat of that one cow they had cared for would feed this small family. For dessert Johannes’ mother prepared us bowls of ice cream with strawberries fresh from the garden, and Johannes asked if I would like any beer. Of course I would! He asked if I would like to try the so-called best beer in the world. 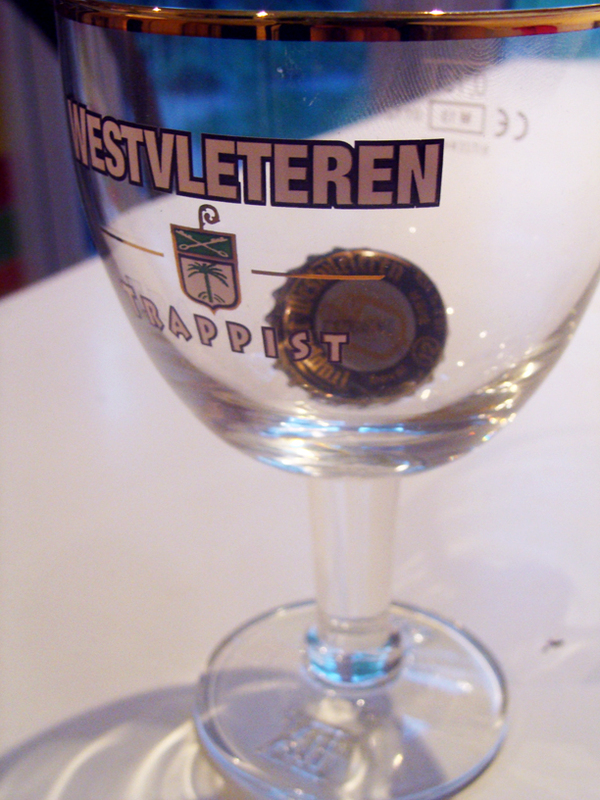 The appellation is frequently given to Westvleteren 12, a quadrupel brewed at the Abbey of Sint-Sixtus. Though the beer sometimes pops up at retailers or via private sellers, it’s rare that it makes it as far as the USA (though the abbey did a one-time distribution in the US a couple years ago) and it’s against the abbey’s wishes that the beer be sold outside of the Abbey. Other than picking up a gift pack at their café, the only way to buy the beer is by calling the Abbey and arranging for an appointment. The Abbey checks the license plate of each vehicle who comes to collect beer, and customers are limited to one or two cases each. Customers can only purchase the beer once every two months, but it’d hardly matter since they only answer the phones for two or three hours a day, taking about 200 calls while hopefuls dial in at a rate that peaks at 85,000 an hour. Johannes said that due to the difficulty of buying more, we’d have to split a bottle. At over 10% ABV, I was happy to share. I managed to pick up a gift pack for myself at In De Vrede the next day, but I’ll be aging the beer for a few years, so for now this glass stands empty. The bottle cap gave a best by date in 2013, which means the beer was brewed in 2010. As far as I know it had only been in the refrigerator for 30 minutes of its life, just before we drank it. While I don’t know how I’d pick a “best beer in the world” (how does one compare a quadrupel to an IPA or to a geuze? ), this beer was very impressive. It gave no hint of its strength and was light on my palate without being thin and without being highly carbonated. Flavors came through strong and clear one after another – cocoa and caramel, fig and date. As the night advanced on, we talked more about our travels. Johannes is finishing his thesis in urban anthropology, and we talked about character and culture manifests itself in different American cities. Though I could’ve easily stayed up late talking much more and sharing more beer, I decided that having put 50 miles of riding behind me and having over 30 more waiting the next day (and probably also putting down a mild cold) that I should get to sleep. Having arrived later than I was planning due to getting a bit lost in one of the bigger coastal cities, I was a bit bummed not to have more time to hang out, but one never knows when paths will cross again. It turns out Johannes has a friend at NYU, so already it seems like circumstances conspire. This entry was posted in beer, travel and tagged Belgian, Belgium, cycling, Flanders, narrative, quadrupel, Warm Showers, Westvleteren, Zwin on June 12, 2014 by Dylan Bargteil.